What? No way! You finally got that acceptance letter to Hogwarts!! Well, let us be the first to congratulate you on this magical achievement! Now all you need to do before heading off to that wonderous school of witchcraft and wizardry is get your hands on some apparel that will really show off your school spirit! You'll need a nice hoodie with your house's colors on it, an awesome book bag to help lug all those spell books back and forth, and finally, some clothing to help you keep warm during the harsh winter months! Check out this Striped Hogwarts Scarf! 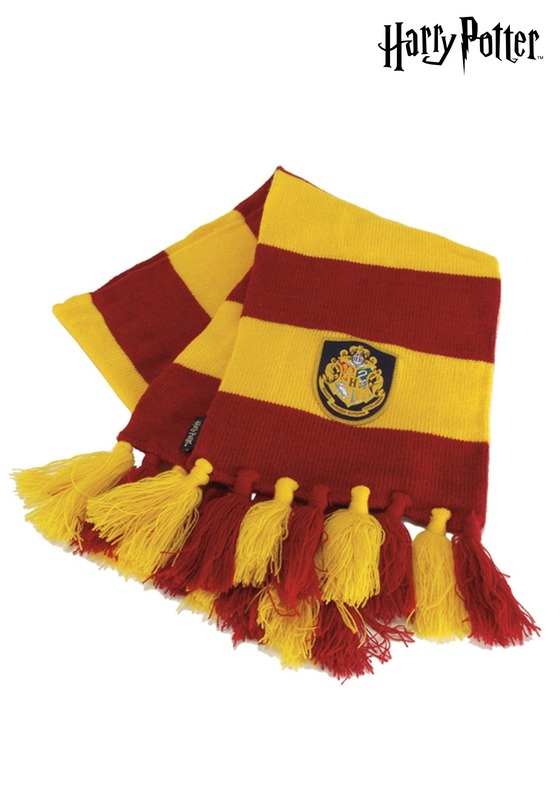 It will be perfect for keeping you warm and healthy through a Hogwarts winter. You wouldn't want to miss out on any chance to learn, otherwise, you may fall behind and lose points for your house! So make sure to wrap this tightly around your neck when winter comes a'knocking! As long as you stay in tip-top shape there's not a doubt in our mind that you could be an even greater wizard than the famous Mr. Potter!